Stories of ‘intelligent artifacts’ and ‘bases’ on the far side of the moon have been lurking in the shadows for decades since the Apollo years. A number of independent lunar researchers have been laboriously going through countless NASA photographs and, to some, it appears that the long wait for verification of these rumors just might getting closer. If that turns out to be the case, confirmation might come not from an official NASA revelation or U.S. Military disclosure but from the independent study of striking anomalies in the Lobachevsky Crater, for example, as imaged by Apollo 16 and by the U.S. Navy’s recent Clementine moon mapping mission. 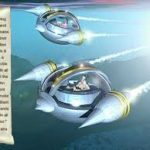 Tired of hearing those stories of ‘intelligent artifacts’ and ‘bases’ on the far side of the moon that have been lurking in the shadows in the decades since the Apollo years? Well, it appears that the long wait for verification of these rumors just might be over… and, if so, confirmation will not have come from an official NASA revelation or U.S. Military disclosure but from independent study of striking anomalies in the Lobachevsky Crater as imaged by Apollo 16 and by the U.S. Navy’s recent Clementine moon mapping mission. American researcher Steve Wingate was the first person to bring world attention to the anomaly in the far side Lobachevsky Crater by posting the old Apollo 16 photograph and several new views from the recent Clementine mapping mission to the Lunascan Mailing List. 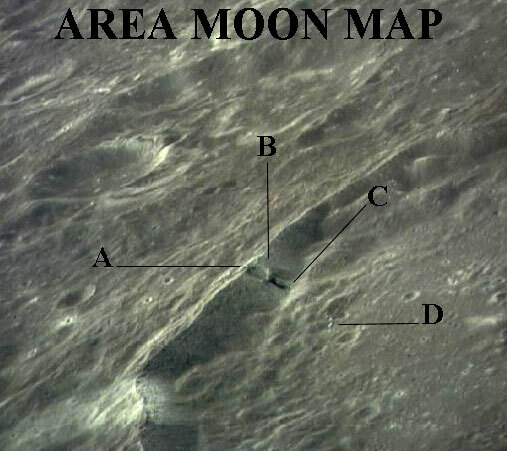 Even more recently, eminent German geologist and science writer Dr. Johannes Fiebag confirmed Wingate’s discovery of an “unusual and possibly artificial structure” on the mysterious far side of the moon as shown in the 25 year old NASA Apollo 16 orbital photograph, AS16/10075825. Dr. Fiebag, highly-respected, is the author of two recent books: “Mars – Planet Des Lebens“, Econ-Publisher, Düsseldorf 1996; and “Mission Pathfinder”, (Econ Publisher, Düsseldorf 1997). Below is the original NASA Apollo 16 photograph which we will now examine in extraordinary detail. Upon examination of the photograph, it was apparent that both Steve Wingate and then Dr. Fiebag‘s claims about the Apollo 16 photograph of the Lobachevsky Crater merited immediate closer examination. The picture was sent to graphics analyst Liz Edwards at IWonder Productions for enhancement and further analysis. 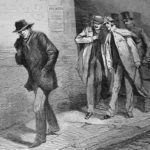 Her work quickly underscored the fact that there are indeed some bizarre anomalies in the photograph, in fact there are several. This first enhancement (above) is remarkable in itself in that there are apparently four clearly strange and unusual ‘objects’ or anomalies in the Lobachevsky Crater. Item “A” demonstrates a strange white rectangular shape along the ridge of the crater rim and includes an unusual shadow below and to its right. 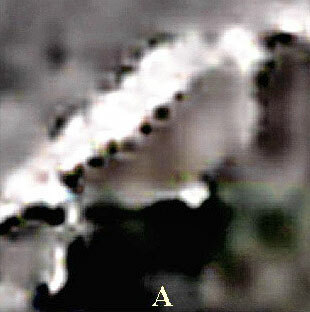 Item “B” appears to be a spectacular ‘spire’ soaring perhaps hundreds of meters straight up from the lunar surface and standing next to what appears to be a rectangular shadowed hole or depression running from its base out to the right. 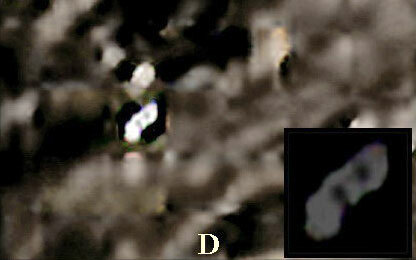 Item “C” smaller but odd, sits in the bottom of the small valley or ravine below the crater rim. Item “D” is set apart from the other objects and projects an extraordinary and bright reflective surface. Here is Ms. Edwards’ close-up enhancement of three of the subject areas. Item “A”, the ridge-top on the left, draws immediate attention because of its stunning line-up of round protuberances. These appear to be an integral part of the white colored area or cap on top of the ridge. These black, holed objects are lined-up in such a way as to provoke images of large ‘ventilation’ or exhaust stacks as might be seen on an ocean liner or large industrial plant…only much larger. These objects seem anything but a trick of light and shadow. A spectacular formation. Evidence of volcanism? Part of a major project or operation? What is it? Item “B” presents what appears to be a dazzling image rising straight up from the lunar surface many hundreds of feet into the void of space. 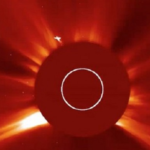 Are we witnessing this tower-like object being hit by the sun’s rays and appearing to be thereby illuminated….as one would expect a piece of crystal to do if struck by the sun in this fashion? Or, is the entire ‘tower’ simply some type of photographic anomaly? If real, it is a stunning artifact…a crystal lunar obelisk? 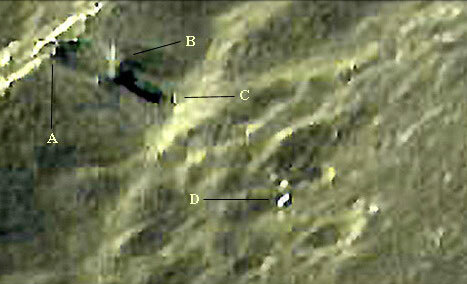 A construct of ET technology somehow linked to the bizarre ridge-top ‘vent’ pipes above on the crater rim? A part of a mining or excavation operation directly related to the dark, shadowed surface depression next to it? 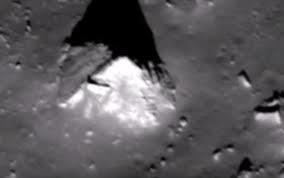 Item “C”, at the bottom of the ravine below the ridge, smaller, but seemingly also rising up out of the lunar soil to pose mute questions that we can only ponder. A long series of ridge-top holes or openings or vents? The results of some type of post asteroid impact heat release? Or….are they intelligently devised and part of an operational base and installation? Funnels to carry some gaseous emission out from deep below? Almost like Lunar ‘coral’. What do you think? 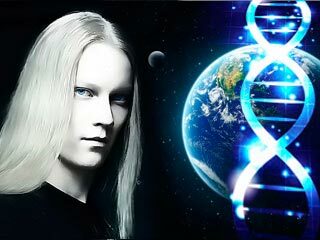 Item “B” presents itself as major enigma. Item “C”. Smaller ‘spire’ like item. By the way Dr. Fiebag has not openly described his discoveries as necessarily representing an extraterrestrial artifact on the lunar surface but makes it clear that he cannot rule that possibility out. Item “D” is very much its own enigma. 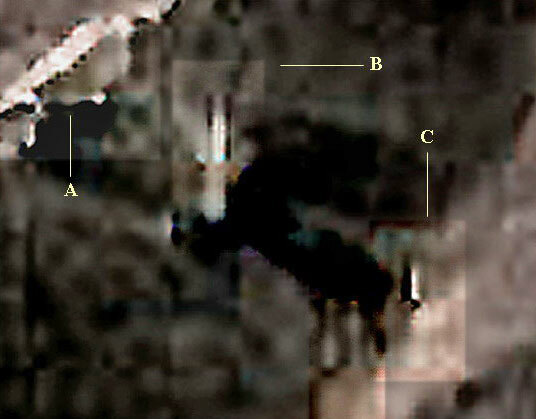 Sitting well away from the other primary anomalies, this small item puts out a distinct shadow and shape and has further been enhanced by Ms. Edwards as displayed in the small inset in the lower right corner of the picture. Again, what do you think?? Where is the ‘tower’ next to the ‘excavation’ in the recent Clementine photographs of Lobachevsky? Was it simply a defect in the original Apollo 16 photograph? Hardly likely. Then where did it go? Was it removed when it’s task was completed? Analysis of the ‘excavation’ anomaly area suggests the shape of the crater appears to have changed noticeably from the time of the Apollo picture more than 20 years earlier. Could this apparently different lunar terrain texture have resulted from a major excavation and/or mining operation which entered into the side of the crater rim? Or, is this dark area all just a ‘lava flow’ as NASA states? I was fascinated by the analysis of the Apollo 16 orbital photograph, AS16/10075825 in your site. You invited comment, and I would like to be critical without wishing to criticize, if you follow. At face value the Apollo picture does present some anomalous features. The first question posed by the original picture is whether the shadow of the ‘spire’ (object B) has been enhanced (darkened) in that view, or is as originally imaged? It does seem much darker than other shadows nearby. I take it that it is this shadow which is referred to as being below and to the right of object A. In the enhancements, pixel streaking can be seen nearby, aligned with the vertical axis of the picture, and parallel to the axis of the ‘spire’. This is particularly noticeable in your image AREA_B.JPG. 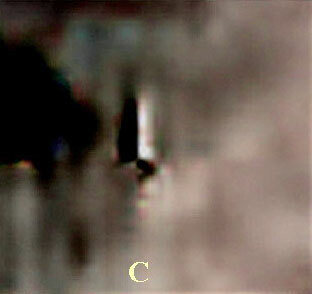 I would suggest that the ‘spire’ is an artifact of the imaging or enhancement process. This could be very easily tested by re-examining the image with the lunar horizon properly orientated, and I would be interested to see the results of such a test. The same suggestion might be made of object C, which is also parallel to the vertical axis of the photograph. In addition, object C does not cast a shadow, and the apparent shadow of object B is not very ‘spire-like’. Both objects B and C appear very bright, which is in itself curious. In my browser both appeared white, where the surrounding highlights were yellowish. Is the original shown in its natural color? If so this would still make objects B and C interesting. Object A is also interesting, but I think that the observer is being misled by analysis of an ‘object’ seen at the limits of resolution. Solar illumination seems to be coming from about 10 0’clock, and object A, on the sunward rim of the crater, would seem to be facing almost direct into Sun, and receiving a lot of light. I suggest that object A is a relatively flat face with a locally high albedo. The ‘vents’, if you adopt my theory that we are looking at selenology rather that an alien artifact, would be a row of either ridge-top peaks or rock formations like boulders. Unfortunately I have no idea what the final scale of the picture AREA_A.JPG is, but at that enlargement we are approaching a visual resolution limit. I propose that the ‘vents’ are shadows of a series of relatively small surface features, which appear circular because of this resolution limit. I’d expect aliens to dig more uniform holes, somehow. Object D is also shown white on my browser, and again I ask whether this is natural. In the original photograph, object D is brighter than some nearby features, but there are other features outside the crater which have higher albedos. Otherwise there is nothing very distinguishing about object D. It is not very enigmatic at all, really. Unfortunately, the inset maximum enhancement of object D, in image AREA_D.JPG, is blank. The Clementine images are unconvincing, at least on my browser. It is not possible to locate common features in both old and new images, and there is no detailed analysis. In the analysis text there are many references as to what the features might be, but one can only speculate about any artificial origin, which makes questions like “Then where did [the tower] go? Was it removed..” somewhat distracting. The tower went nowhere, because it wasn’t there to begin with. Please don’t be offended by my analysis. It was intended to be skeptical (meaning doubting) but not meant to be a personal attack, and you did invite comment. 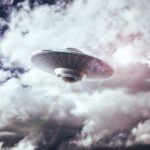 I find the entire subject of the possible existence of (alien) artifacts fascinating, but I feel that we often make too much out of insufficient information. Having said that, I must tell you that about 20 years ago I read a book entitled “Someone Else is on Our Moon”, with analyses of Lunar Orbiter photos, which certainly seemed to show what the author (unknown) described as mining drones. He described several types, but I only remember ‘T-drones’ clearly. He was quite convincing. I haven’t seen the book since, and it doesn’t appear in the Amazon catalogue. 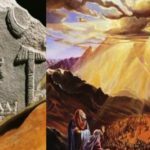 Is Biblical Mount Sinai Located In Har Karkom Where Mesopotamian Moon God Sin Was Worshipped?